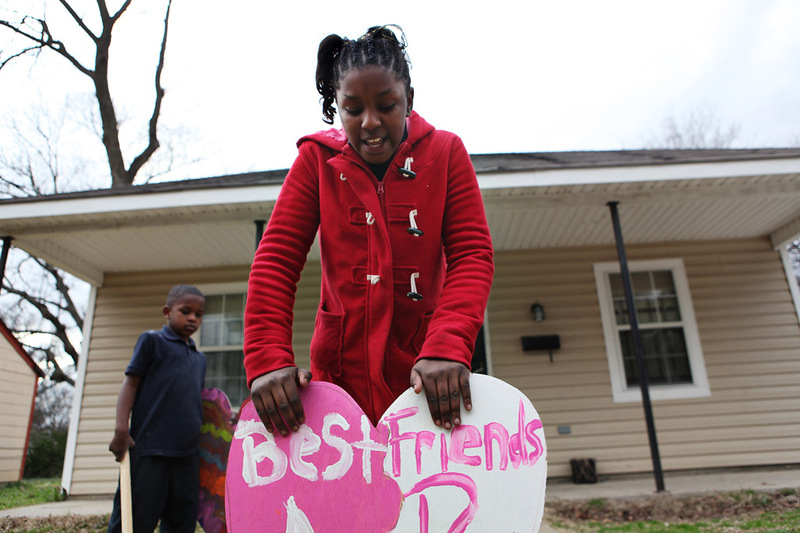 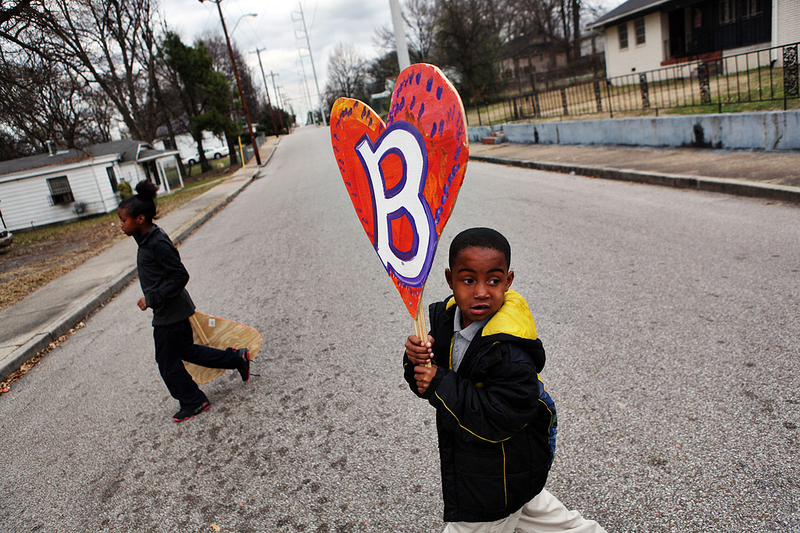 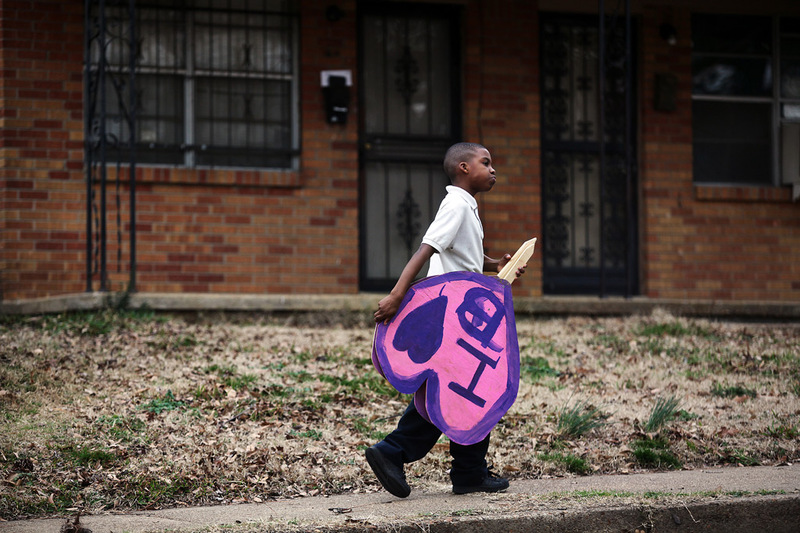 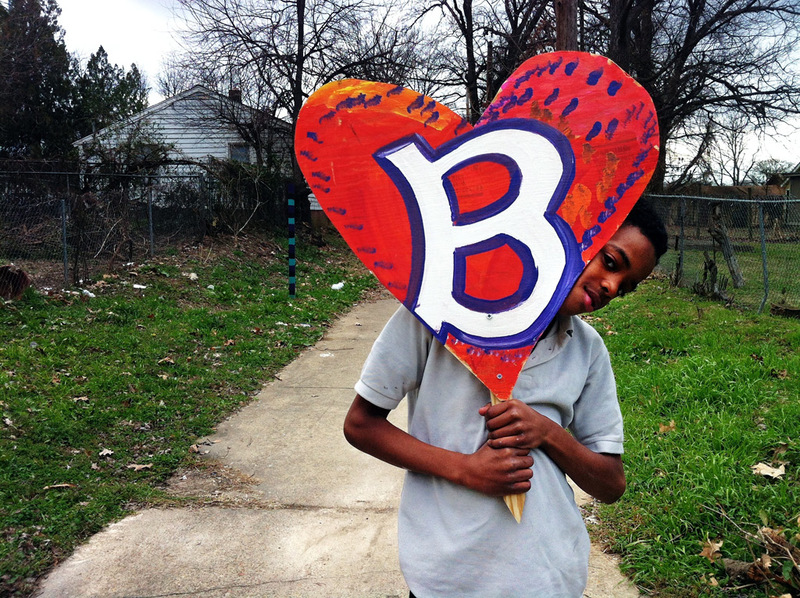 Children and volunteers from the urban art garden walk the streets of Binghampton installing heart shaped signs the children made on neighborhood lawns as a valentine to the residents of Binghampton. 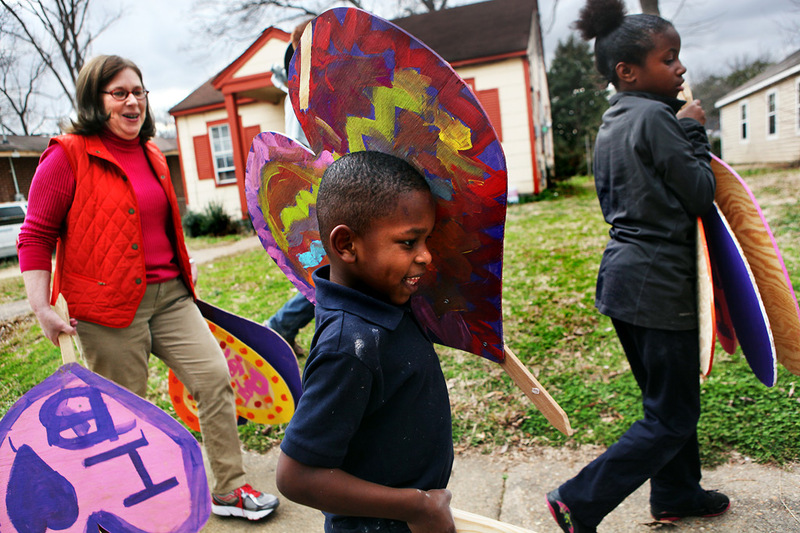 The mission of the urban art garden is to work with inner city children to transform a blighted, vacant lot into a place of beauty. 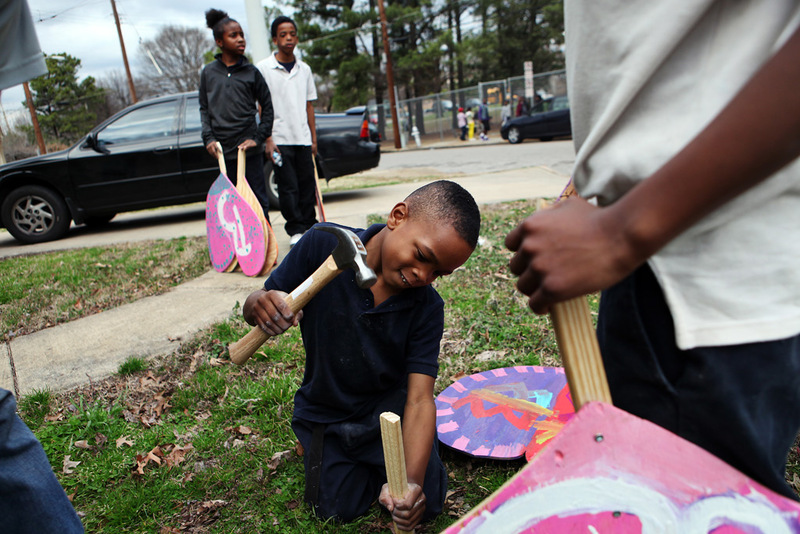 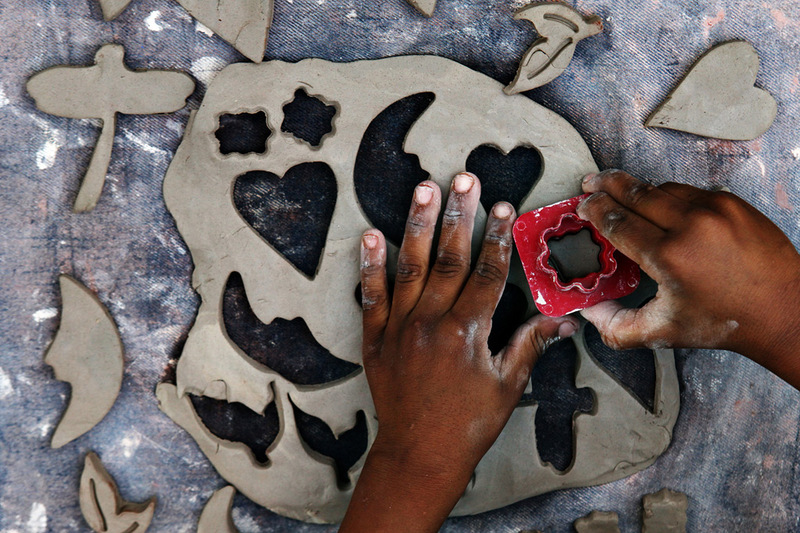 Local artists and volunteers work each week with over 50 children doing various art projects.